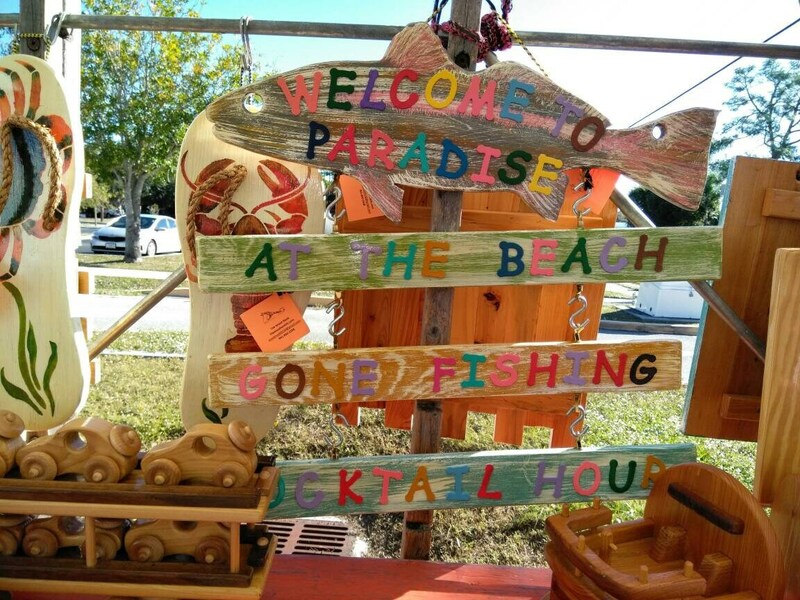 What a beautiful tropical sign - welcome To Paradise! Handcrafted and hand painted and made from re-claimed and re-purposed Florida grown Cypress. 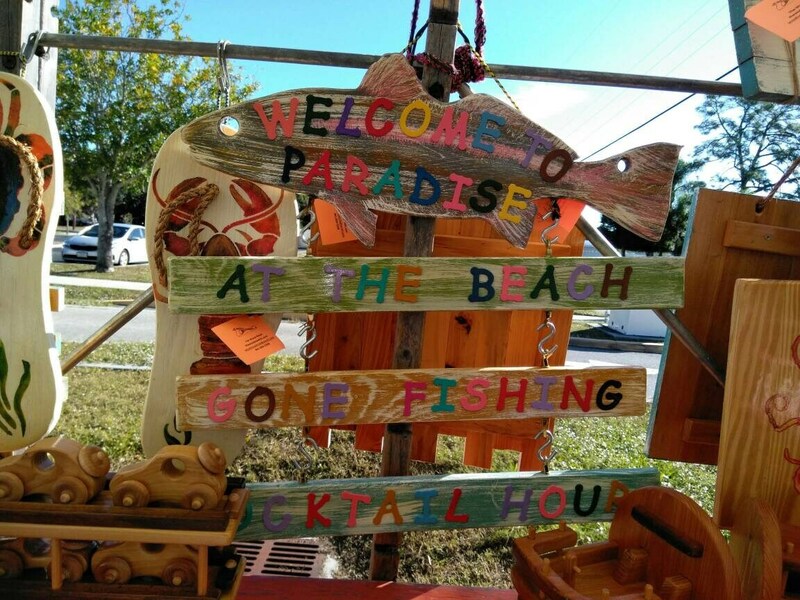 Comes complete with three additional hanging signs that tell your "Paradise" Story. Call us to customize one for you 941-830-2338 or purchase as shown.